COSMOS : Nemesis Star Theory . 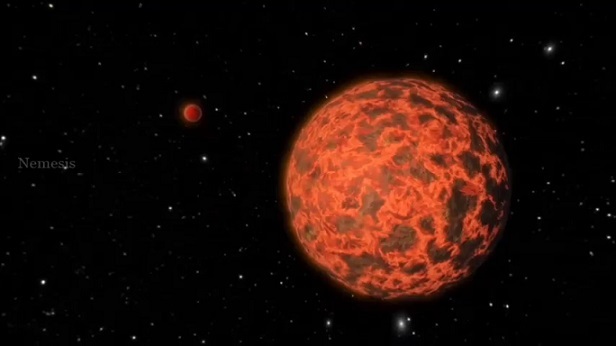 Nemesis is a hypothetical red dwarf (or) brown dwarf which is believed to be orbiting around the sun at a distance of 95,000 AU (1.5 light years ) . Nemesis - According to its english meaning its a cause of punishment or defeat that is deserved and which can never be avoided . 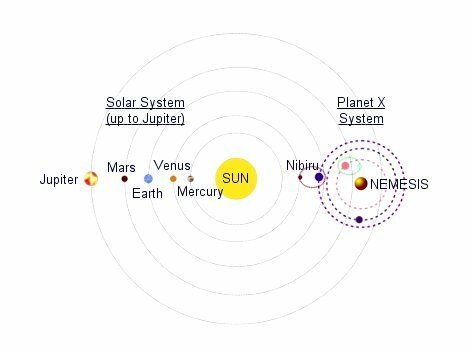 Nemesis orbit - Outside of the solar system . In 1984 paleontologist David Raup and Jack Sepkoski have claimed that there were statistical periodicity in the mass extinctions for a period of 250 million years .They have studied based on the fossil remains of vertebrates, invertebrates, and protozoans, identifying 12 extinction events over the time period . Time period of extinctions were 26 million years . 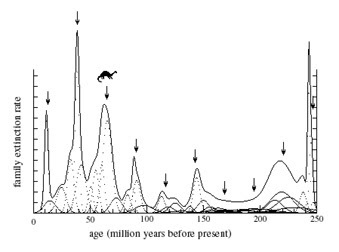 Graphs showing the mass extinction in a period of 250 million years . 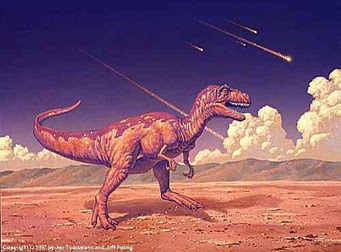 Its believed that Dinosaurs had mass extinction . Astronomers and scientists have believed that there may be a undetected companion star to our Sun - sun's evil twin . This star orbits in highly elliptical orbit in oort cloud , this causes the increase in the number of comets visiting the inner solar system and which may have hit the earth causing the mass extinction . Sedna is believed to be a dwarf planet orbiting at a distance of about 86 AU from the Sun . Sedna's orbit is estimated to last for around 12000 years . Its surface composition is similar to some trans-neptunium objects and mixture of water , methane and nitrogen ices with tholins . Sedna never comes to close to sun to be affected by sun nor does it goes farther away to be affected by other stars . Its believed that this orbits is caused by the presence of Nemesis . 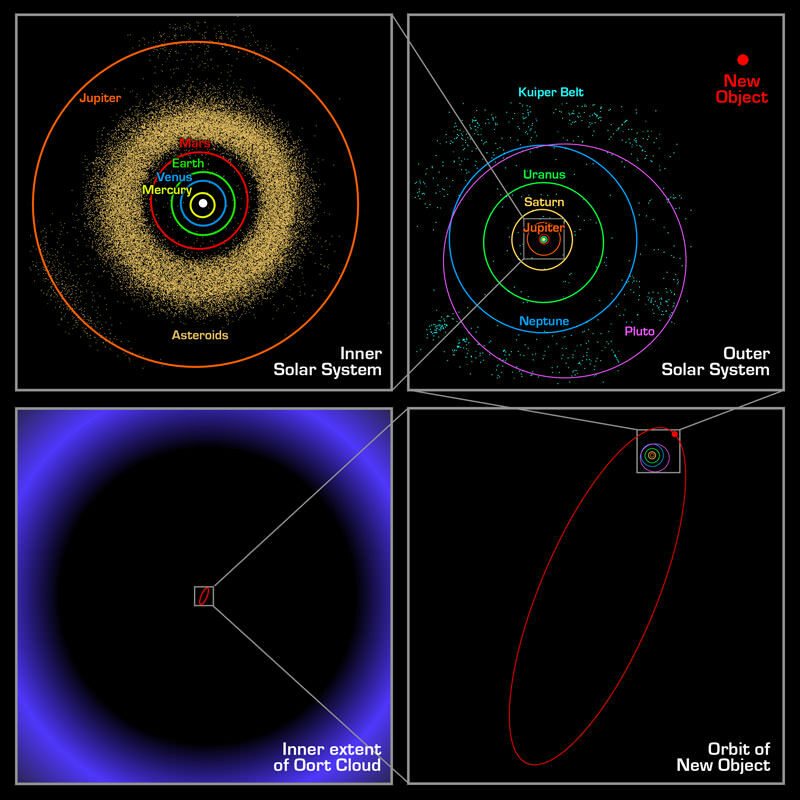 Sednas orbit compared to other orbits . 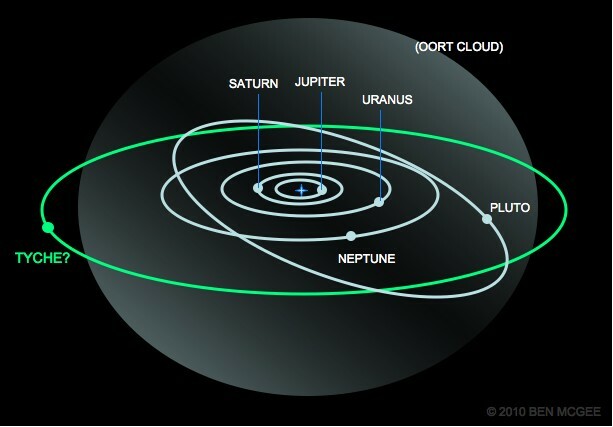 It is a hypothetical gas giant located in the solar system Oort cloud . It orbits at a distance of 2.2×1012 km from the Sun . This would have orbital period of 1.8 million years . Nemesis is also believed to affects Tyches orbit . Nemesis in infra-red is important because cooler stars shine more brightly in infrared light . University of California's Leuschner Observatory failed to discover Nemesis in 1986 . Infrared astronomical satellite (IRAS) failed to discover Nemesis in 1980 . 2MASS astronomical survey , which ran from 1997 to 2001 failed to detect . WISE ( Wide-field Infrared Survey Explorer ) mission : If Nemesis was a red / brown dwarf , it was expected to be detected by WISE because it can detect 150 Kelvin Brown dwarf at about 10 light years . There were many failed observation , thats why this is just a theory and we need practical evidences to prove its existence .